Among a bunch of shells of various sizes in our craft supplies I noticed a small piece of rock with tons of embedded mollusk shells. I rhought at first that it might be some kind of coral, but a little Google image searching led me to conclude it is more probably coquina, a kind of limestone consisting mostly of shells. 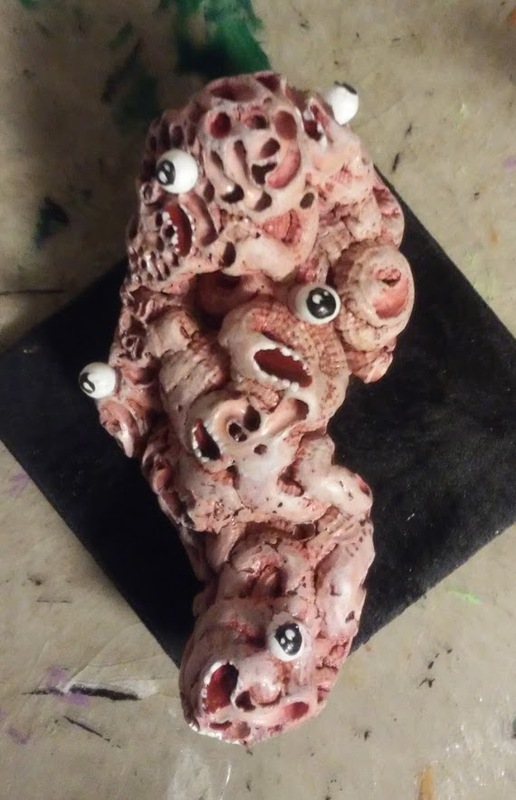 I was initially thinking about using it for a base for a mermaid I was painting but it looked so irregular and gross that I realized it would make a much better Shoggoth. 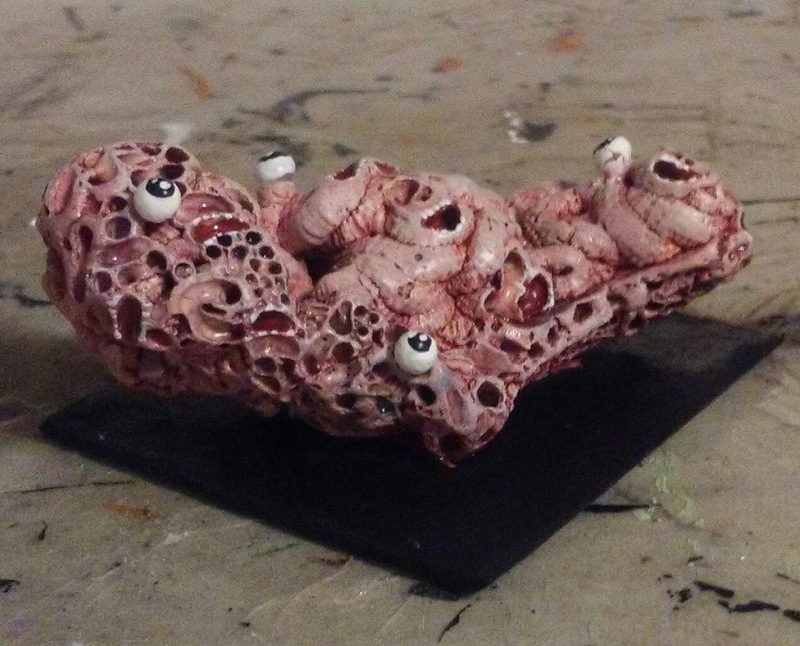 The coiled shells and holes suggested pseudopods and a bubbling chaos of mouths, eyes, and appendages. The eyes are just beads I glued on and painted, and the mouths are formed from breaks in the shells. I just picked out teeth in white along the edges. The whole thing is washed with maroon, with additional brown washes in deeper crevices, then roughly drybrushed with pink and white. The “mouths” had more maroon added to deepen their color. The whole thing took barely any time; I wish I had more of the stuff. 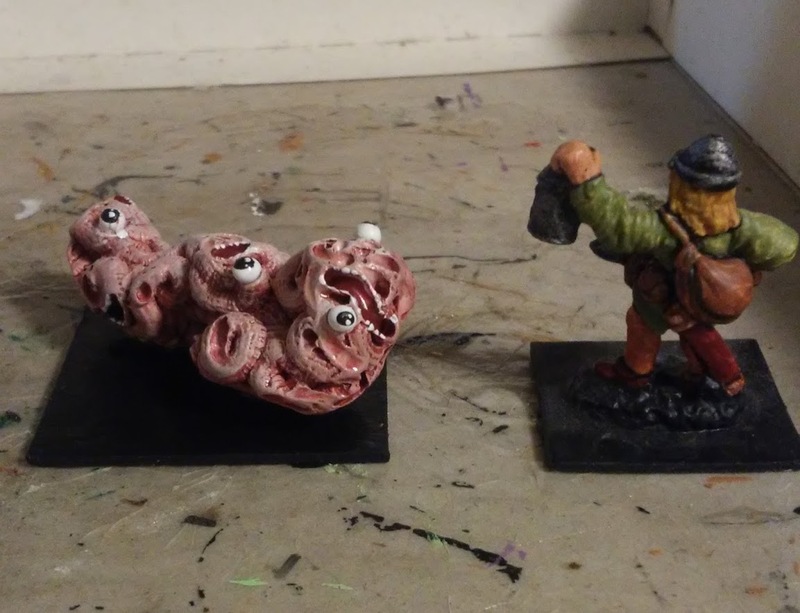 It will serve as a small shoggoth or gibbering mouther. Wonderfully horrible! Reminds me of how the protagonist of SAYA NO UTA saw other people through his cognitive Agnosia! A very ingenious creation. 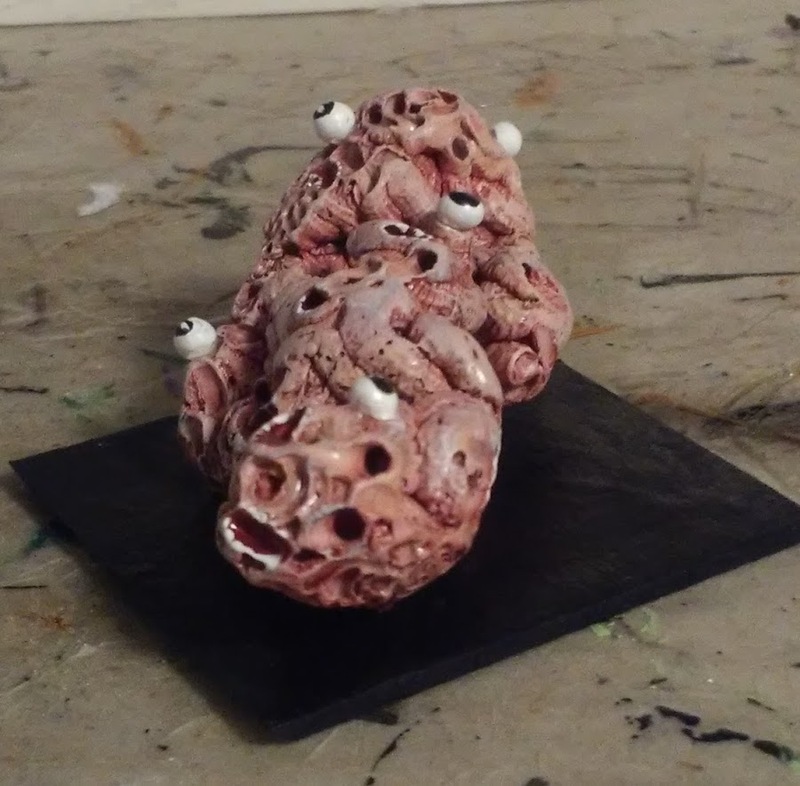 I think what you found is also known as a variable worm shell cluster. Ah, that’s definitely it! Thanks!